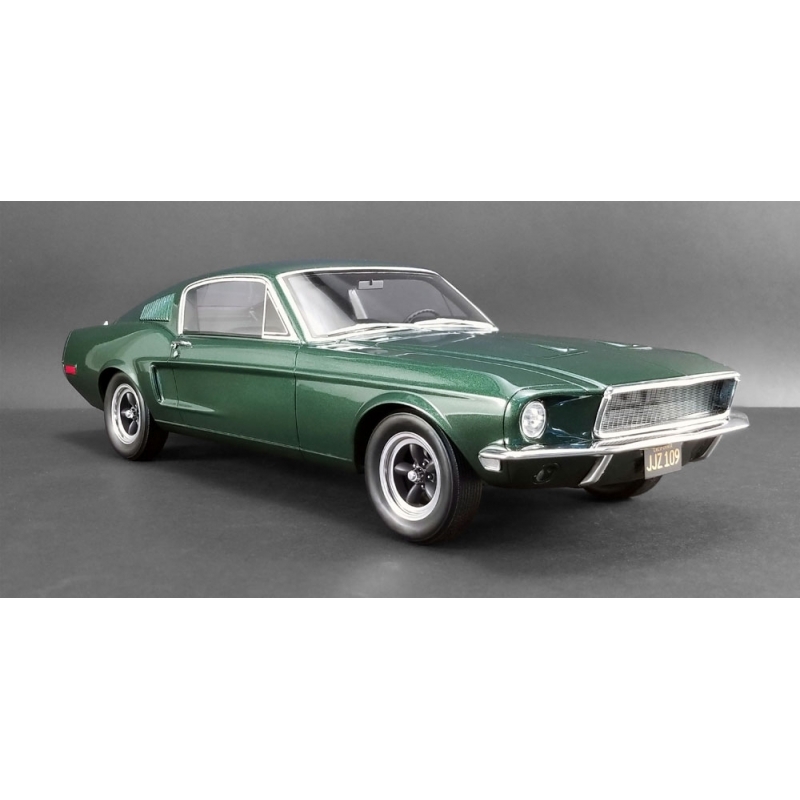 1:12 scale “Bullitt” - Ford Mustang GT (Highland Green) (1968) - RESIN MODEL from ACME Trading Company. 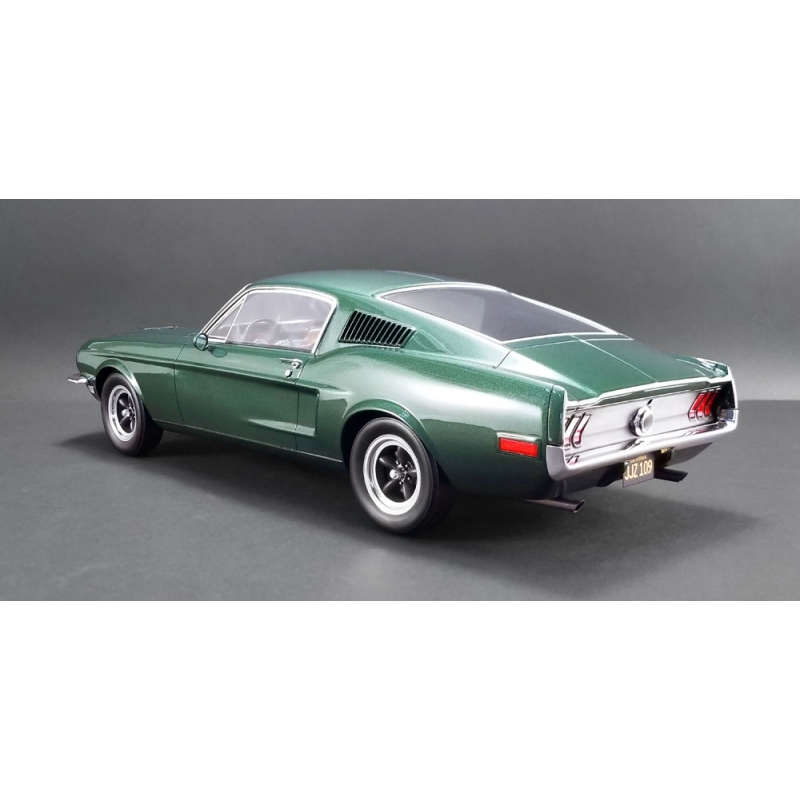 Suitable for age 14+. 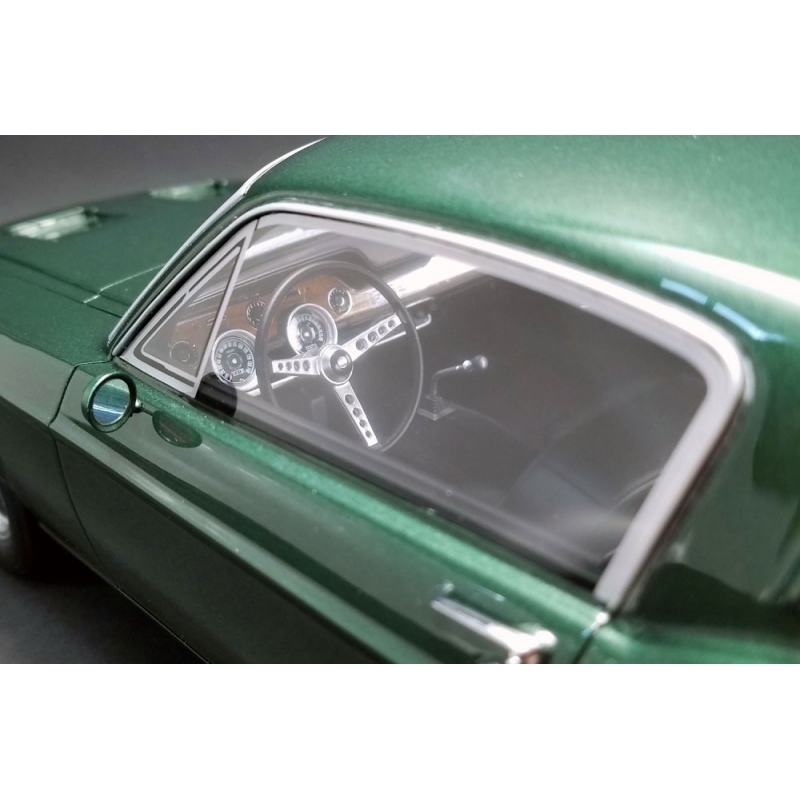 This superb resin model is hand-assembled to the highest quality with an intricately detailed interior, authentic Firestone Wide Oval replica tyres and individual serial numbers on the chassis. 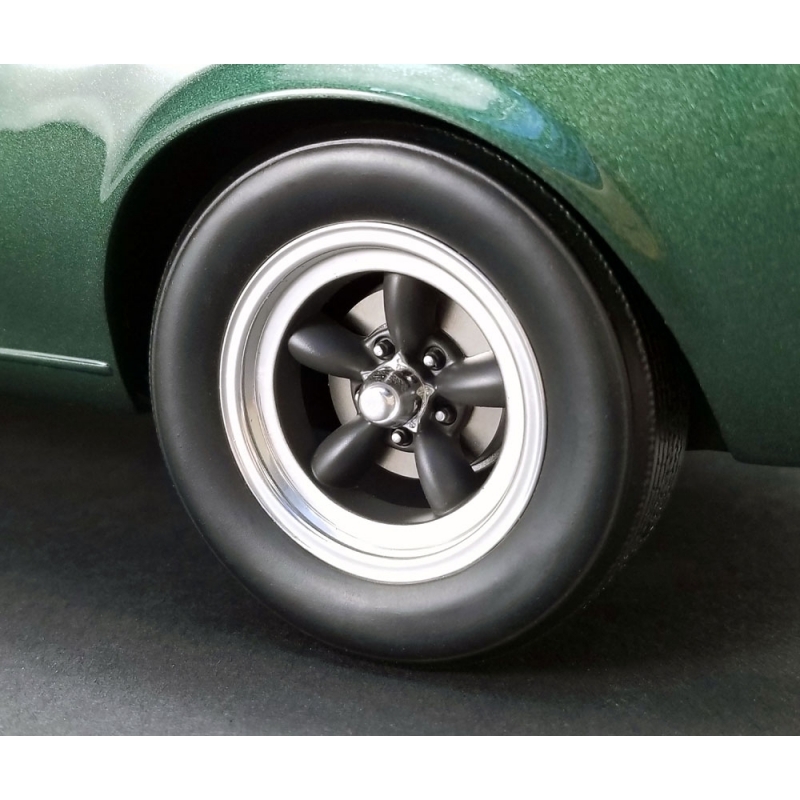 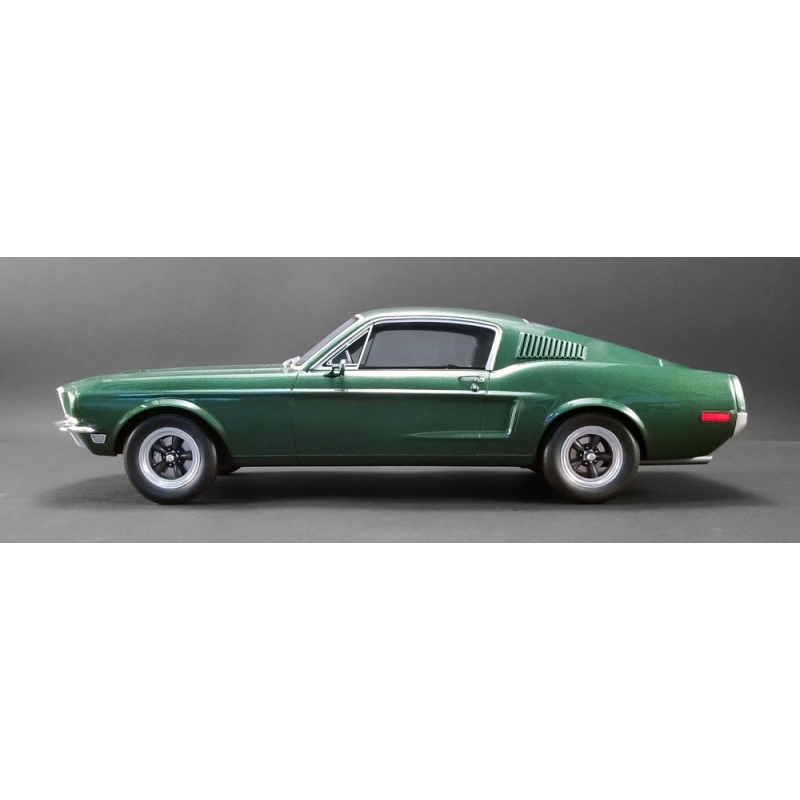 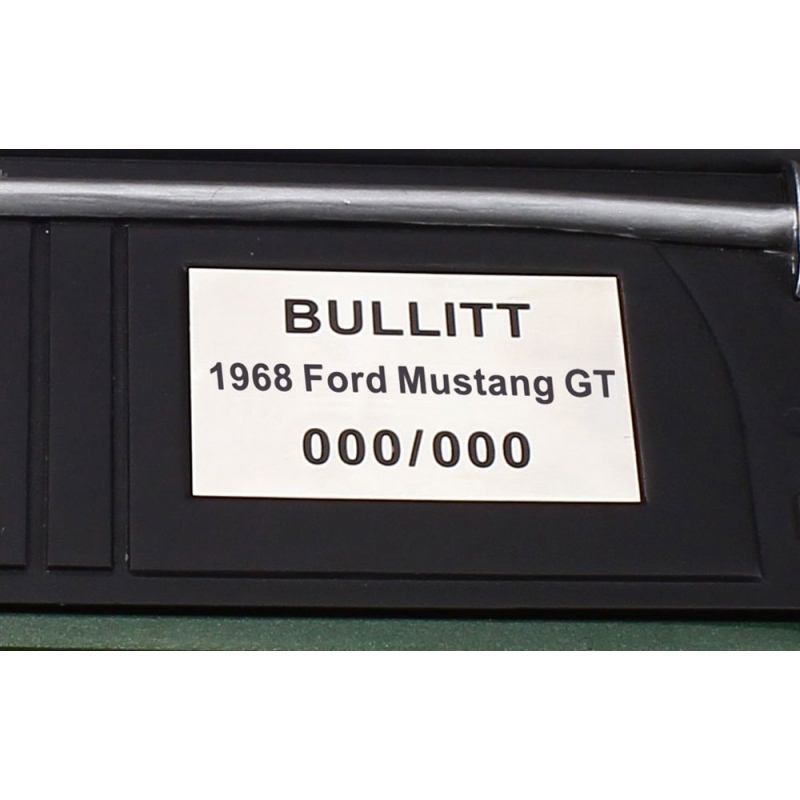 This model is officially licensed by the Steve McQueen Estate and the Ford Motor Company and features exclusive "Bullitt"/Steve McQueen packaging.